This is the airport closest to our house in Seattle. The Kenmore Air Harbor (KEH) is a seaplane base with service to all sorts of interesting places in Washington and BC. 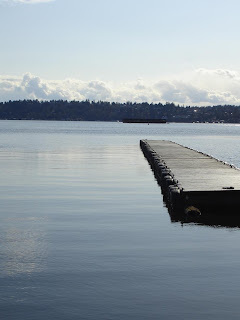 It sits on the north edge of Lake Washington, conveniently along the Burke-Gilman trail. This is a look down runway 16/34, which is 10,000ft long and a generous 1000ft wide. The runway surface and condition is described by the FAA as WATER. As there is no US customs and immigration pre-clearance offered from Kenmore Air's Canadian destinations, there is a small CBP building with agents to meet incoming international flights.